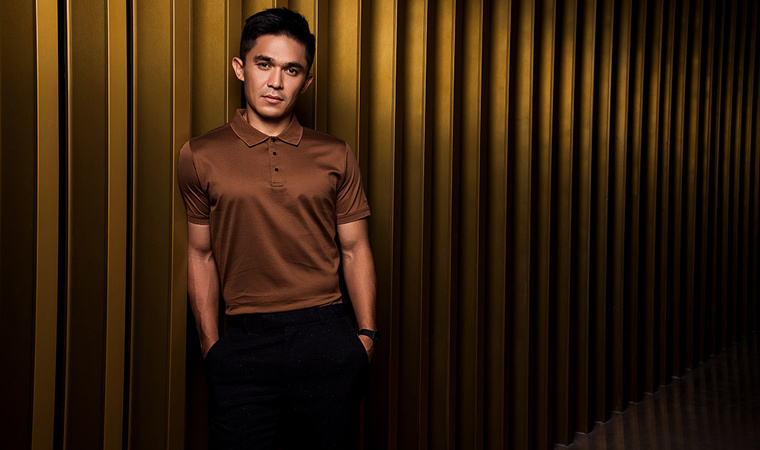 India’s football captain Sunil Chhetri is determined to take the sport to a different level, slowly, steadily and persistently. How will he make a difference? He is the most-capped Indian football player and also the highest goal scorer in the country and, in fact, is just five goals behind Lionel Messi on the international stage. Some say he is easily the best Indian football player in the last 15 years. With him around, the FIFA world ranking of India has consistently improved and is at an all-time best of 97. Ensconced in a spacious and handsomely fitted penthouse-like hotel suite not far from the Delhi airport, Chhetri does not betray travel fatigue this morning and is ready to field questions without any hurry. He looks sharp and straight, his face perpetually watchful. We are seated next to a light-filled kitchen-diner in the living room and the conversation inevitably veers to breakfast. Like a clean swerve, almost a quick manoeuvre with a ball, Chhetri tackles the niggling curiosity of his followers. “Oatmeal, eggs, fruit, nuts, coffee and coconut water; this is what I have been eating for breakfast the last 15 years,” says Chhetri. “So, when people ask me what is so different that I do, I say it is the normal everyday thing that is the most challenging. I think the most difficult part of a sportsperson’s career is that there are so many things that are so monotonous, but are important. You have to keep doing them every day,” he says. Chhetri is highly apologetic of cheat days, “taking it easy” or replacing oatmeal with wheat flakes or muesli. Chhetri married his long-time Bengali girlfriend Sonam Bhattacharya last December and has deftly woven in his downtime with family after dinner, somewhere between 8pm and 10pm. This schedule is something he will unflinchingly follow for the next eight years at least, given his penchant for an unchanging time table. In Chhetri’s world, there are no excuses or half-hearted measures. Secunderabad-born Chhetri - striker for the ISL team Bengaluru FC and captain of the Indian football team - didn’t have to look outside his own home for the football fever to kick in. He reveals that his parents were both avid footballers, with his mother having played in the Nepal women’s national team, while his engineer father represented the Indian Army. Football was a recurring theme at home even with patchy broadcast signals in the 1980s. He grew up adoring legends like I.M. Vijayan, Baichung Bhutia, Krishanu Dey in his early years, and later became a massive fan of Cristiano Ronaldo. There are many significant firsts for Chhetri, but the most special was scoring his first India goal against Pakistan, in Quetta in June 2005, as part of the National Bank Football Cup, in the first ever Pakistan-India football series. “For the first time, I represented my country in a senior national team. Wearing your national team jersey for the first time ...that feeling is unparalleled. You always dream of playing for your country,” says Chhetri. Early in his professional career, Chhetri generated a lot of interest in Europe and beyond when there were rumours that he would be signed on by a major league. He was the first Indian to be chosen in Major League Soccer with Kansas City Wizards in 2010 (but did not play any match there) and signed a two-year contract with the prestigious Sporting Clube de Portugal in 2012. A player of his calibre and ingenuity could have stuck around and stretched his luck further on transatlantic soil. “I really wanted to stay there. I was enjoying it. But I was already 26 and wasn’t a regular. I was coming in as a change for matches. Sometimes, I regret (not staying on) and wish I had gone to Sporting Clube de Portugal when I was younger, at 19 or 20. I would have had more time. The training was amazing. I was playing with some top players. Eric Dier, who is now playing for Tottenham Hotspur, was my room partner then. But, not being in the first 11 was really messing with my head. That’s the only regret that I have,” admits Chhetri, insisting it had nothing to do with homesickness, the reason touted for many talented Indian football players withdrawing from overseas pitches. Fans who harbour hopes of Chhetri coming back to Bengal are in for disappointment. And no, Subrata Bhattacharya, the Mohun Bagan powerhouse and illustrious coach, has no designs to squirrel back son-in-law Chhetri to West Bengal. “My father-in-law (Subrata) and I talk a lot about football, about trends, about matches. I enjoy talking about football with him. But, never ever has he asked me to sign on for any club. Not him, not my wife, not anyone. My professional decisions are entirely mine. They never ask me to make a comeback. They are very happy I am at BFC,” says Chhetri. He points out emphatically that currently India does not harness even 10 per cent of its sporting talent. His idealism, though, is infectious. “The day we are a proper sporting country, when most of our energy is devoted to identifying talent, bringing them into the system, and training them, we will be a different country. If a kid can only play and leave aside the dilemmas in his head, [imagine] what could we achieve as a nation,” says Chhetri, almost pleadingly. At 33, Sunil Chhetri is in peak form and entertains no thoughts of what comes after retirement. Whether he will be a part of football administration, seriously pursue post-match analysis or coach the next generation of footballers, all this perforce would come after active football. 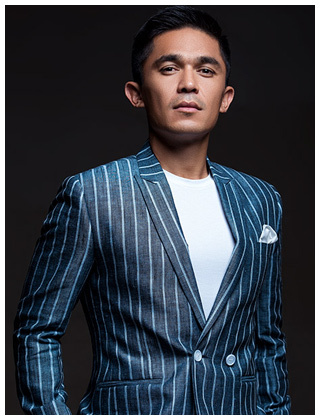 “Right now I am too busy enjoying the game and I just want to play for my country and my club,” says Chhetri, who knows he will have time to reflect on his staggering achievements when the hurly-burly’s done, when the battle is lost and won. You are going to kill me! Bangalore FC. (After much prodding) I can’t do this...okay Mohun Bagan! Oh no! there are so many (hides his face) Okay, Baichung, because the chance to play with an idol was magical.